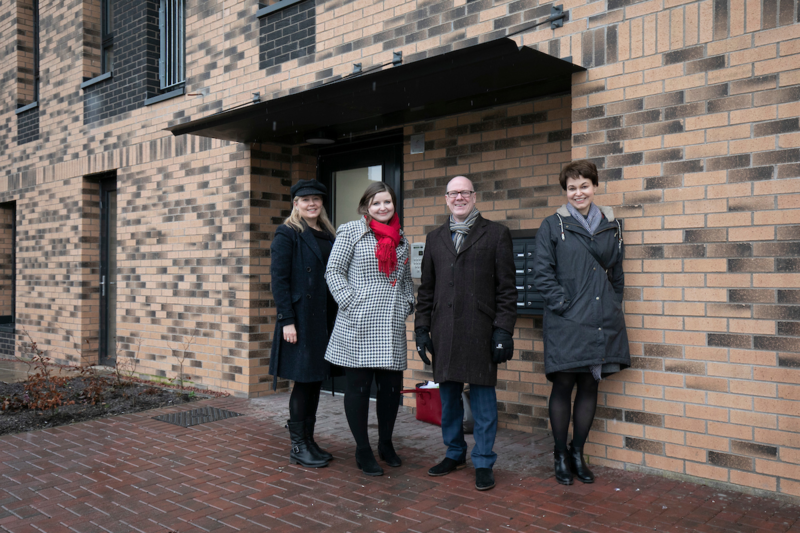 Housing minister Kevin Stewart has visited the first homes to be delivered as part of a new housing partnership between the City of Edinburgh Council and the Scottish Futures Trust. 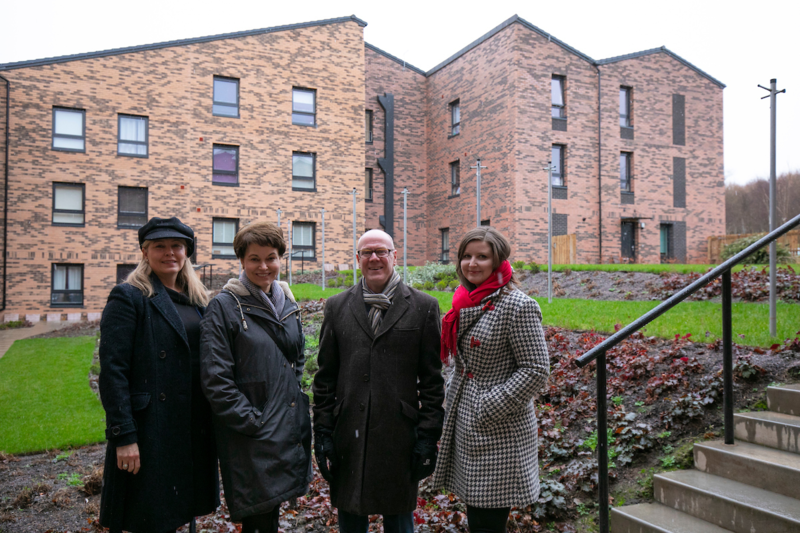 The housing minister and Cllr Kate Campbell, housing convener for the City of Edinburgh Council, had an opportunity to visit the development on Tuesday ahead of tenants moving into their new homes over the next few weeks. The proposal to set up the Edinburgh Living partnership formed part of the housing programme in the Edinburgh and South East City Region Deal, signed in August 2018. The initial homes for Edinburgh Living will be delivered as part of the council’s housebuilding programme, which is targeting 20,000 new affordable homes over the next 10 years, as part of a joint commitment for the city with housing association partners. Cllr Kate Campbell said: “Edinburgh Living gives us another way to build much-needed, additional affordable housing in the city. It also allows us to take forward council-led mixed use developments so that we can deliver more affordable homes ourselves. Kevin Stewart MSP added: “I am delighted to visit Clermiston to launch Edinburgh Living and view the first 22 homes for mid-market rent completed as part of this initiative.